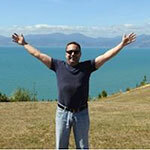 Editor’s Note: Today, we pass the baton to our weekend guest editor, master trader Jeff Clark. As Jeff has been showing dear readers this week, he and Bill agree that U.S. stocks are headed for a monster of a bear market. But rather than dread it, Jeff is looking forward to it. Today, he shows why smart traders stand to double, and double again, their money during the bear market of 2019. Today, I’ll show you what will be the most profitable investing strategy of 2019. But, if you use this strategy, you’ll be able to double your money over and over while most other investors rip their hair out. I’m talking about technical analysis. The man who predicted the 2008 crisis… the 2011 gold crash… and the December 2018 mini-crash… now warns 2019 could either make you rich or make you a victim of the biggest market drop in a decade. “It could cost you everything,” he says. Now, when you hear “technical analysis,” you might picture day traders drawing triangles on chart screens. The charts probably look more complex than anything you’ve seen before. It might seem “scientific”… even a little bit intimidating. But really, technical analysis is much more of an art than a science… That is, if you try to force it to conform to strict rules and formulas, it’s likely to be wrong almost every time. Try thinking of it the way I do… A short-term chart of a stock (or index) is simply an emotional picture of the stock at a specific moment in time. 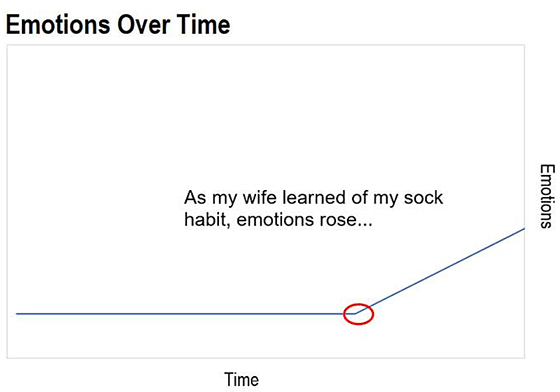 Stock charts tell me how traders/investors are responding emotionally at any given point in time. Human emotions are remarkably consistent. We tend to respond the same way, over and over again, to the same circumstances. So, if I can go back into a chart, find a time where the conditions were similar to where they are today, and note how the chart behaved afterwards… it can provide strong clues for what to expect in the future. But technical analysis is emotional. It evolves over time. So, conditions that used to provide a catalyst for a big move may need to get more extreme to cause a similar movement the next time. In fact, he spent most of his career as a clerk at an Atlanta Home Depot. But 30 years ago, this man had an idea that would change everything for him and his family. And since he perfected his discovery, he’s been able to make MILLIONS from the stock market, several times over. In this special live presentation, you’ll witness him make $1,050 in 15 seconds… with just three simple steps. When I first got married, I’d often come home from work, take off my socks, and drop them on the floor next to the couch in the living room. My wife would come home, see my socks on the floor, and get all ticked off about it. In other words, she’d have an emotional reaction to her husband leaving his socks in the middle of the living room floor. This happened over and over again. Eventually, though, my wife got a little better about dealing with her slob of a husband, and I got a little better about not leaving my socks next to the couch. Leaving my socks on the floor no longer elicited the same reaction from my wife. Over on the chart, things have calmed down. The line on the chart is headed sideways, with little action in either direction. There’s less volatility. But in the background, energy is building. Those socks had to be going somewhere… and it wasn’t the hamper. Remember, human emotions don’t change. They’re remarkably consistent. But, emotions do evolve and sometimes it takes a bigger catalyst to elicit the same response. That catalyst was provided when my wife was vacuuming one day and moved the sofa in order to vacuum the carpet beneath it. She found about a dozen pairs of my dirty socks tucked beneath the couch. Like the charts above, a short-term stock chart is simply the emotional representation of traders’/investors’ reactions to the stock. If we can spot previous patterns on the chart that look similar to how that chart looks today, then we can see how those previous patterns played out and then trade the stock in anticipation of a similar reaction. A lot of my trading strategy revolves around finding emotionally overbought/oversold conditions that are ready to reverse. 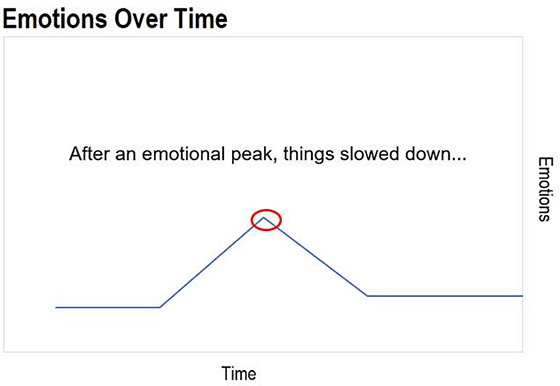 Technical analysis helps me identify conditions where investors’ emotions have gotten extreme, and where I can see how stocks have reacted to similar conditions in the past. This is exactly what traders should be doing in 2019. In the volatile market we’re seeing today, any extreme condition is likely to reverse. 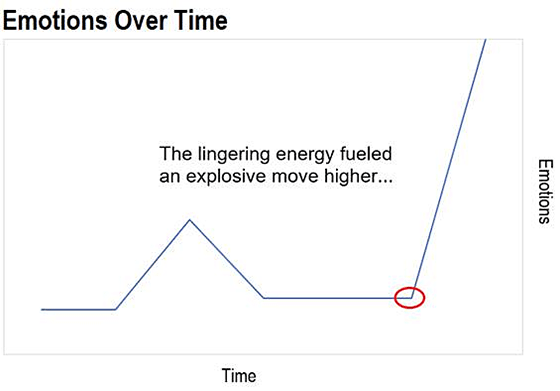 Likewise, any overly calm condition is likely to explode with energy in due time. And here’s why: Periods of low volatility are always followed by periods of high volatility – and vice versa. They can’t stop me from sharing this opportunity with regular folks like you. Consider this… In 2017, stocks just kept marching higher. Overbought conditions just got more overbought. There was nothing for traders to do. No volatility. At the beginning of 2018, the stock market had just come off the least volatile period of the entire bull market. So, investors who figured stocks would go up forever were greeted with massive drops in February, October, and December. And here’s the thing… I think we’re in for an even crazier year in 2019. Most long-term investors won’t know what to do. But this is exactly the environment where guys like me (traders) can thrive. Like I told you Wednesday, investors should take their gains for the year and sit this one out. It’s probably the best way to keep your portfolio intact. But for traders who pay attention to technical analysis, there are opportunities to profit… every single trading day… no matter what the market does. P.S. No matter how bad the market gets, know this: You don’t have to be a victim. A lot of folks lost everything in 2008. It was one of the biggest stock market crashes in modern history. But there’s something you likely didn’t know about 2008. A certain group of people made out like bandits. Click here to see how you can too.